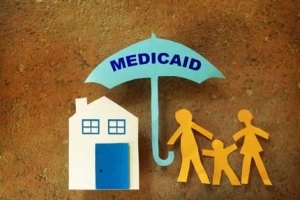 In case you missed it, there have been two new and compelling op-eds in recent days from unlikely sources about Medicaid expansion and the ongoing critical need for North Carolina to expand it under the Affordable Care Act. “What if I told you there was a way to add $4 billion a year to the state’s economy, create more than 40,000 jobs and provide health care to approximately 400,000 North Carolinians who don’t have it? You would say it’s too good to be true, right? “The time is right to close the coverage gap. Uncertainty over major federal changes to the health care system is now behind us. The N.C. Medicaid program is stable and its financial predictability will increase with the transition to managed care. “One in five adults with an opioid use disorder, however, is uninsured. Only 20 percent of uninsured people with opioid use disorders have received outpatient treatment in the past year, barely half the rate of those with insurance. Today, more than 900,000 working-age North Carolinians do not have health insurance. Law enforcement officers often have to take people with opioid use disorders to jail when what they really need is treatment. Having these individuals in jail instead of in treatment is the wrong use of taxpayer dollars and an inefficient use of limited law enforcement time and resources. The bottom line: Closing the coverage gap would be a life-saving, economy-boosting move and it remains a tragedy that a handful of ideologues continue to stand in the way.